Learn day trading: In this website you will learn what you need to know to get started in day trading; from getting the appropriate computer system to using the trading platform. Training is essential before you become a trader. For those who want to trade professionally, I provide you with a Career Opportunity as well. I created Day Trading Tutor over 15 years ago to help people fully understand what day trading is all about. Even though you will soon be jumping into a vast sea of financial information, I have simplified it for you. The Short Journey (you lazy you! ): Practice on a free live simulator (see form on right) and receive an e-book with a complete trading strategy (you can also receive this e-book by taking the long journey), as well as access to other useful trading tools and weekly webinars I like. The Long Journey (please pick this one; pretty please! ): Start by reading the 7 steps to start day trading and the sections on trading currencies. You’ll also receive access to the e-book, trading tools and live weekly webinars. The Managed Journey: Not everyone has the stomach to trade themselves. If that’s you, but you still want to hire a professional trader to do it for you, check out the managed account section. In the last few years many stock day traders have migrated from the well-known world of equities to the relatively unknown (but much larger) world of currencies. Currency trading (a.k.a. “forex trading”), in my opinion, is more advantageous than trading stocks and investors can start out with a lot less money. After reading through this site and practicing on the simulator or on a real account, some of you will conclude that trading is not your thing. If this is the case, the managed account is another option you may consider. 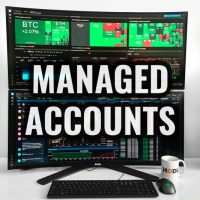 The managed account program is where professional traders do all the work for you. Please note that “day trading” means starting and ending the trading day with your account 100% in cash. This means not holding a position (long or short) until the next day. I explain why you shouldn’t in Step 1 (important day trading facts) of the “7 Steps to Start Day Trading. The only exception to this rule is if you are trading a market like forex or crypto, where you might hold a position longer than a day because of the extended market hours. DISCLOSURE: Day trading involves substantial risk and is not suitable for all investors. Using leverage in trading magnifies both profits and losses. In any financial market where a potential profit exists, there exists also a risk of loss. MyDayTradingTutor.com does not assure that the client will make money day trading or in the forex or stock markets.